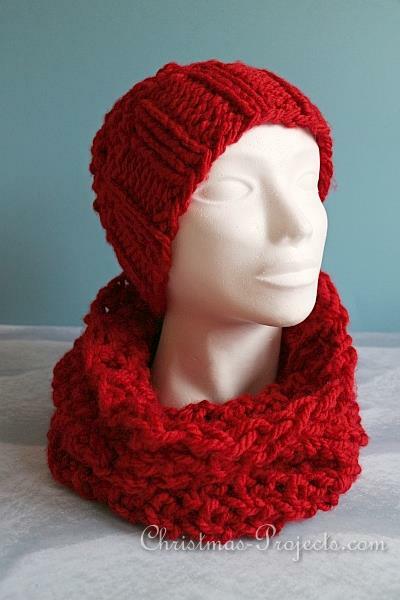 Time required: Depending how fast you knit, you will need about 1-2 hours for the hat and 3-4 hours for the snood. Row 1: Knit 1, *Knit 1, Purl 1, repeat after * until the last stitch, then slip the last stitch over to your needle without knitting or purling it. Row 4: Knit the first stitch, then knit or purl the stitches how you see them facing you until the last stitch, then slip the last stitch over to your needle. Cast on 24 stitches with the size 15 mm circular needles. 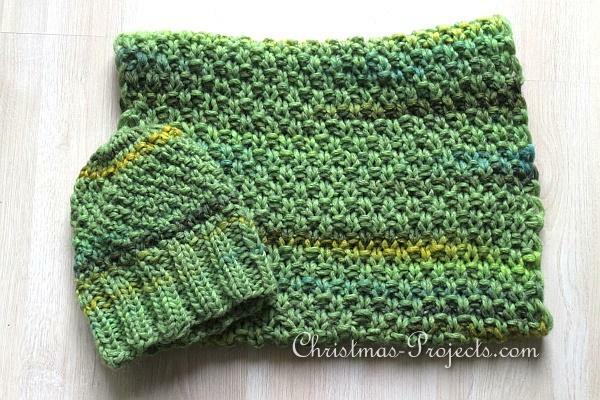 Knit using the “Seed Stitch Pattern” or “Moss Stitch Pattern” (see above) until the you have reached a length of 72 cm. Finish off the edge and then cut the yarn at a longer length to use for sewing the snood together. Place both short ends together and sew the edge closed so that you have a tube. 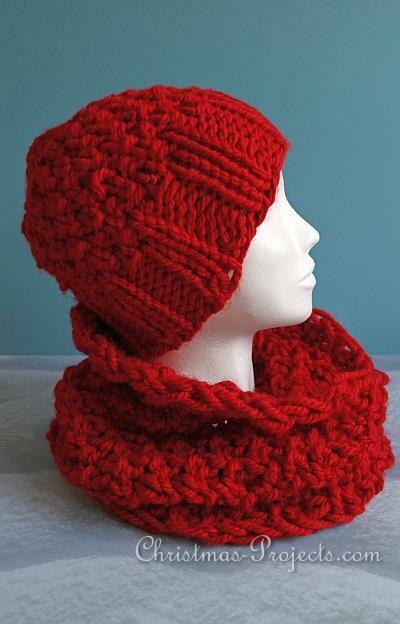 Secure then any yarn ends on the wrong side of the snood. Cast on 40 stitches with the size 10 sock knitting needles (10 stitches on each of the 4 needles plus a 5th needle to work with). Work the “Ribbing Pattern” for 8 cm. 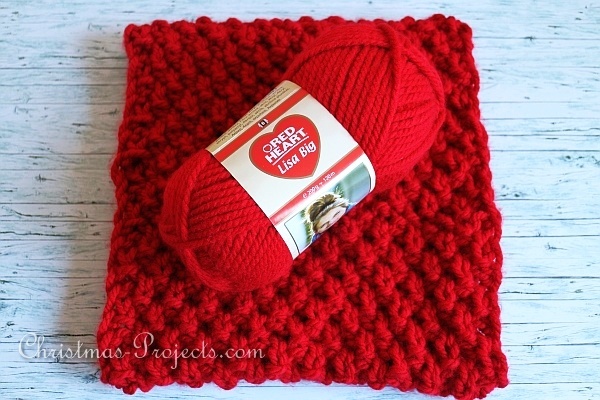 Then work the “Seed Stitch” pattern for another 10 cm. Then cut your yarn and thread it through a large needle and go through all remaing stitches to close the hole. 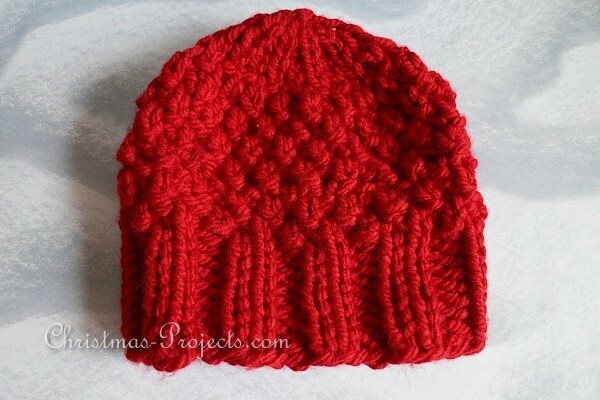 Sew your thread thoroughly on the wrong side of the beanie. Sew all remaining yarn ends on the wrong side of the beanie. A lovely set to knit for someone special as a gift. 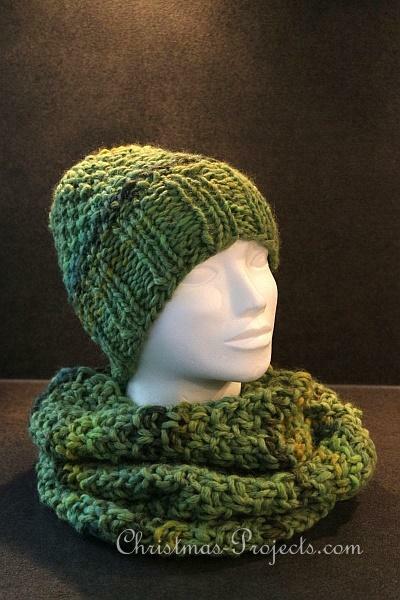 This set is made using the same instructions above but with a different colored yarn. The stripes were already integrated into the yarn.